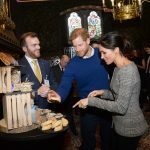 Bakery aiming for Meghan Markle sparkle at food show in Dubai | News by Wales Express News, People Before Profit! 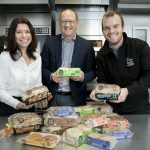 VB-1 AND 2 Village Bakery Wrexham staff who are going to Dubai. 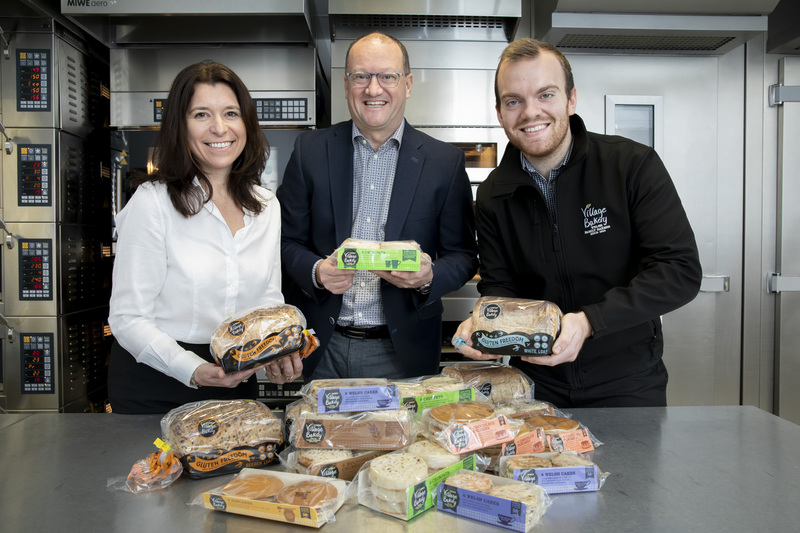 Pictured (from left) Liz Totty – Commercial Director, Robin Jones Managing Director and Thomas Kellaway Account Manager/ Business Development at Village Bakery. 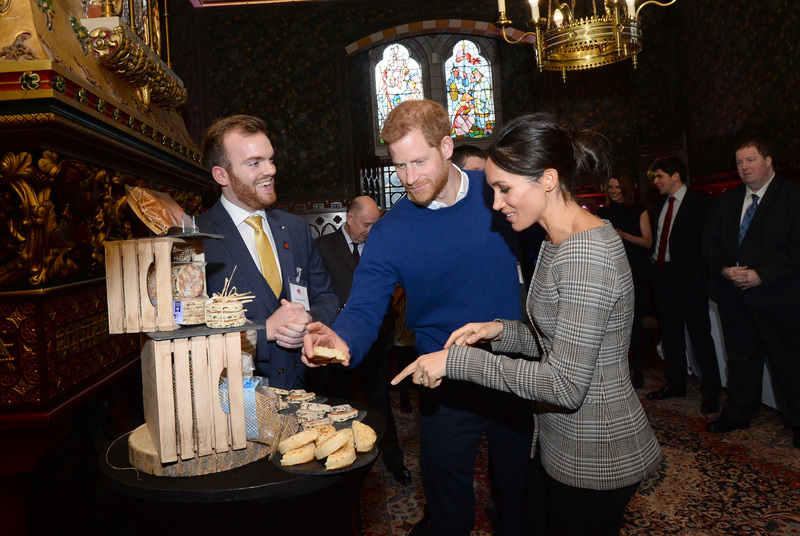 The Village Bakery’s Thomas Kellaway with the royal couple sampling the mouth-watering Welsh Cakes.